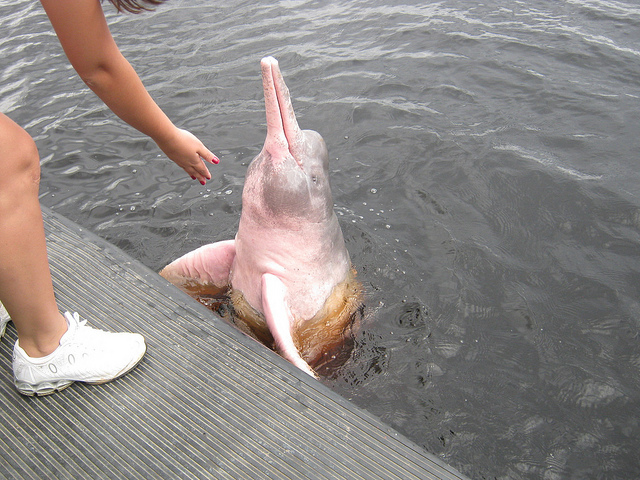 Dumbo famously featured pink elephants, but did you know that there was a pink dolphin? 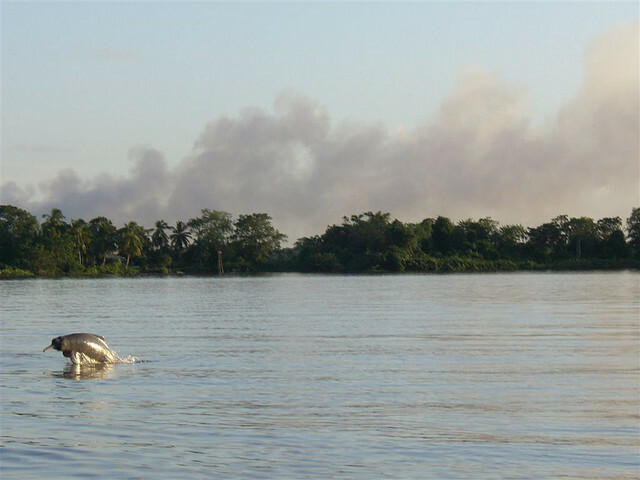 In their wild habitat of the Amazon River they are quite happy to meet and greet those willing to forego a few fish for the pleasure of their company. 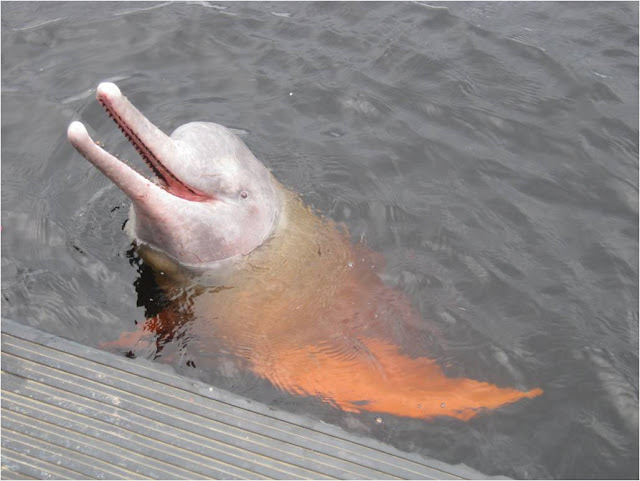 Also known as the Amazon River Dolphin this friendly and gregarious species is found not only in the river from which it gets one of its names. It can also be seen in the Orinoco and the Araguaia Rivers – in fact its range covers six South American countries. Oh yes, the multitude of names. 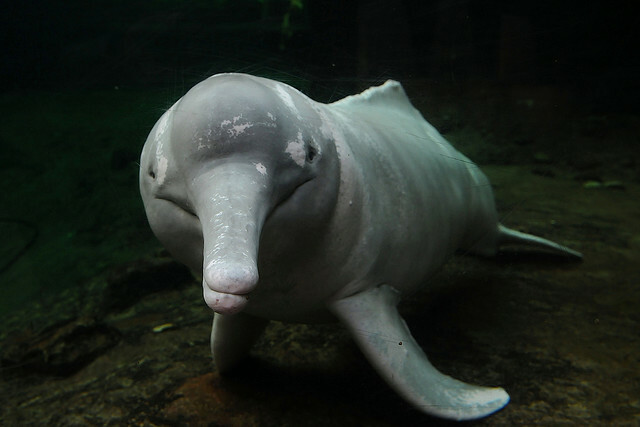 It goes by many - Bufeo, Bufeo Colorado, Boto, Boto Cor de Rosa, Boutu, Nay, Tonina, Boto Vermelho, Boto Cor-de-Rosa, Bouto, Inia, Pink Dolphin, Pink Freshwater Dolphin, Pink Porpoise, Tonina and, bizarrely, Wee Quacker. 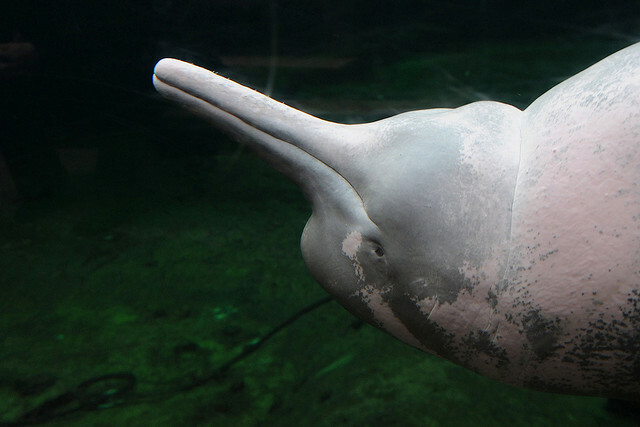 It is some wonder that it doesn’t suffer from a dolphinesque identity crisis. 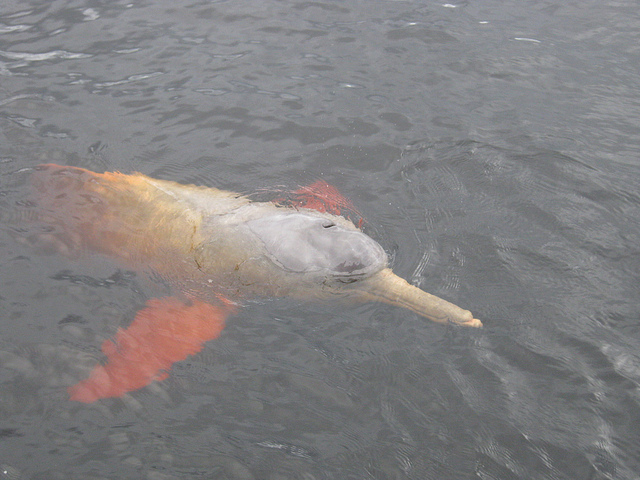 On casual inspection the Pink Dolphin looks very similar to the grey dolphin with which we are much more familiar. 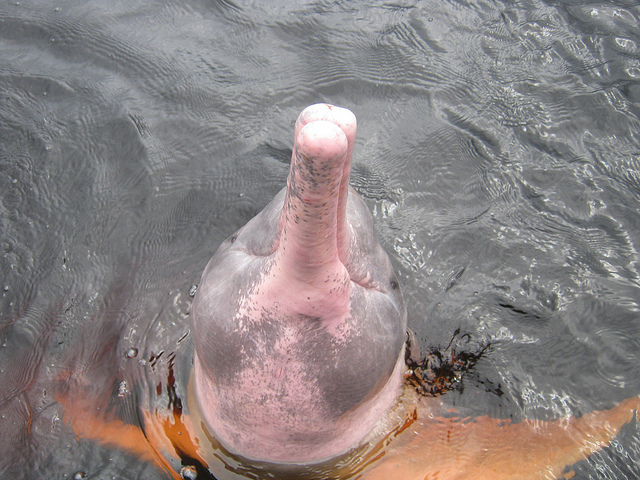 Yet the pink dolphin is usually a little longer and they do not have a dorsal fin – they have a hump of bony flesh instead. The pink coloring changes from individual to individual. They also have unfused neck vertebrae, which sounds like something which should demand immediate treatment. However, it means that they are able to turn 180 degrees without any worries. 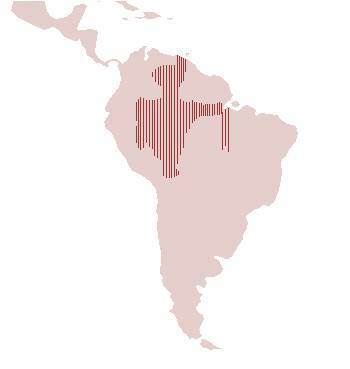 In the South American rives in which it lives this is a distinct advantage. 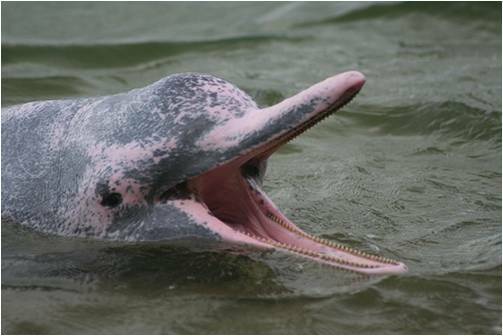 It means that the pink dolphin is able to manoeuvre skilfully through underwater tree trunks and roots in search of its prey. 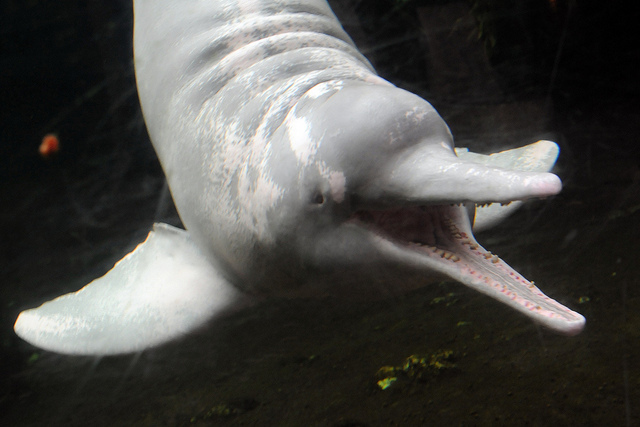 Their teeth are adapted to life in the river after certain prey. 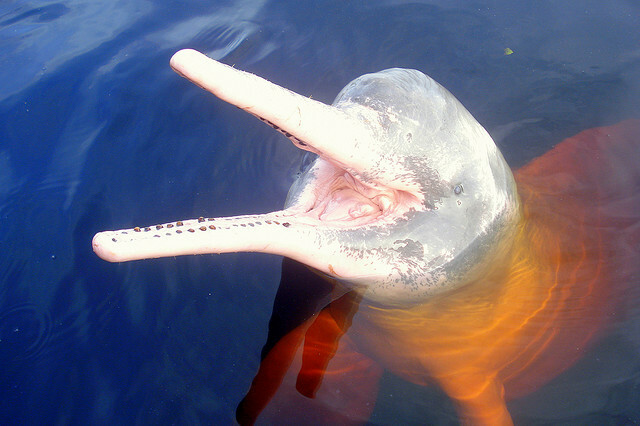 The pink dolphin has around a hundred teeth, peg-like and ideal for catching prey such as small turtles and crabs. The shells of these animals are easily crushed by teeth like those! 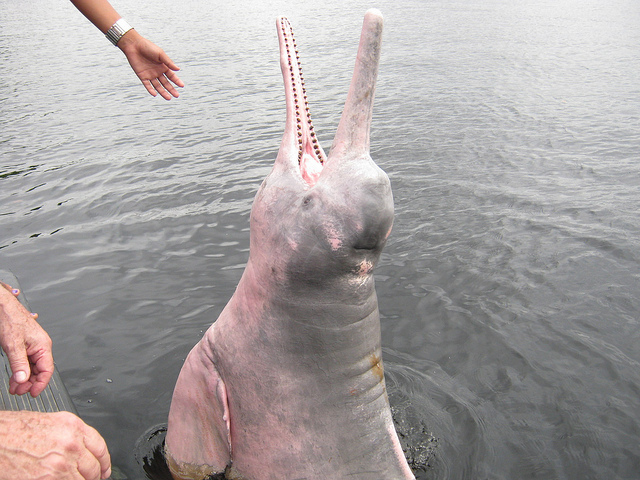 This is why you do not hear of tourists swimming with pink dolphins - it is not the most sensible think to do as even a friendly nip from one of these could cause a deal of harm. 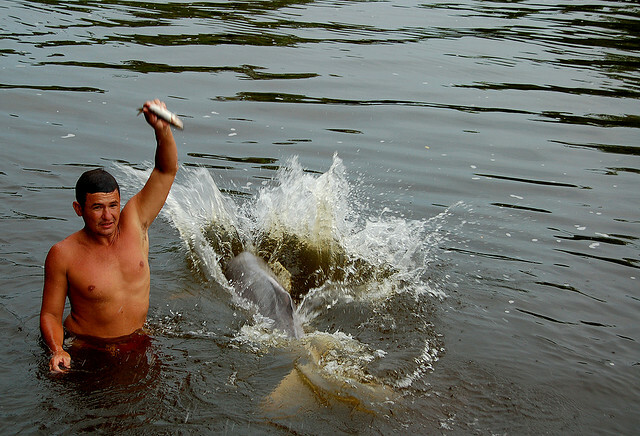 Yet they do become familiar enough with some of their human neighbors to trust them to join them in the water. 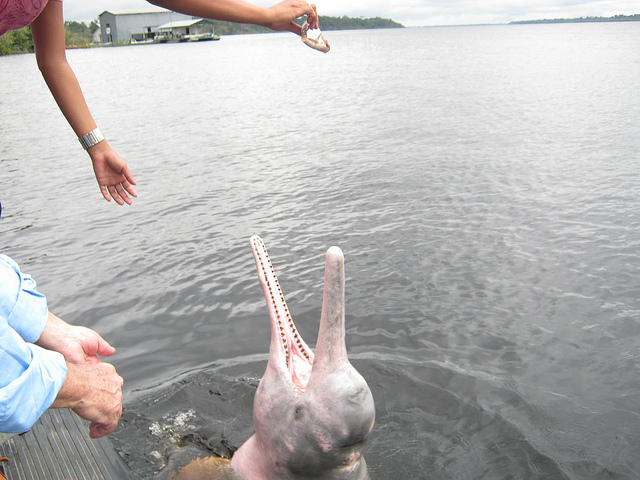 It also has a wonderfully long snout which, in river conditions, is ideal. It uses it to extract fish from hollow logs and thickets with ease. It is a supreme hunter in these conditions – even more so when the water levels drop. Fish and other freshwater species head for the lakes when this happens. 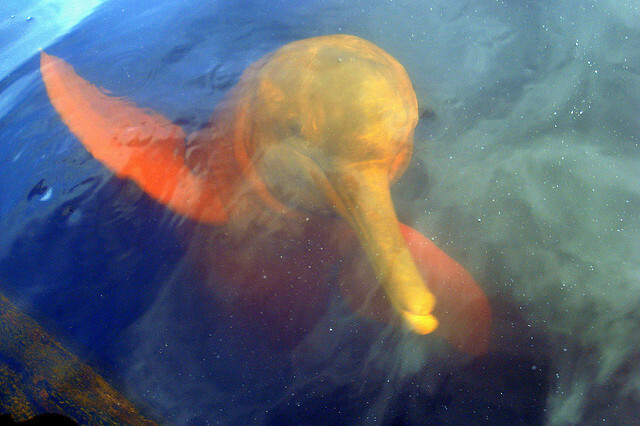 The pink dolphin follows and takes full advantage of having its dinner squeezed in to a reduced body of water. 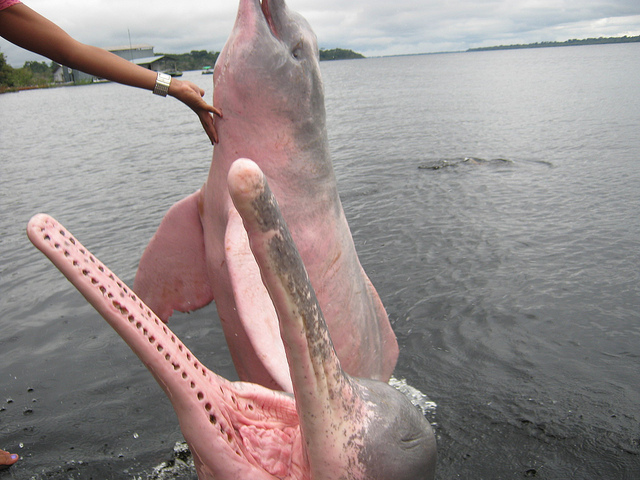 However, it is during the flood season which happens around April that the pink dolphin chooses to give birth. The young will be expected to fend for themselves after a few months and this is the only time of year that you will see the species in any numbers together. It is hardly surprising that a lot of folklore has sprung up around this responsive and sociable creature. 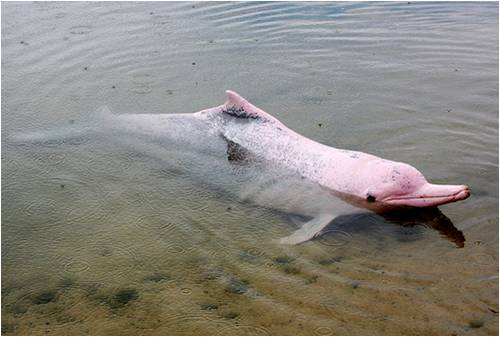 Some say that at night the pink dolphin transforms in to a handsome young man. This shape shifter is known as encantando and he delights in the seduction of local human maidens. 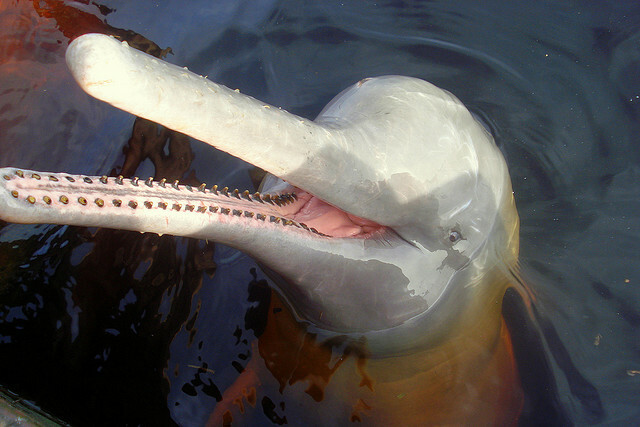 It is thought that this story became widespread because the dolphin’s genitalia do bear a passing resemblance to our own. As such, however, this lore protects the dolphins to an extent. It is considered immense bad luck to kill one – and looking one directly in the eye is also said to bring lifelong nightmares to whosoever dares to make eye contact. 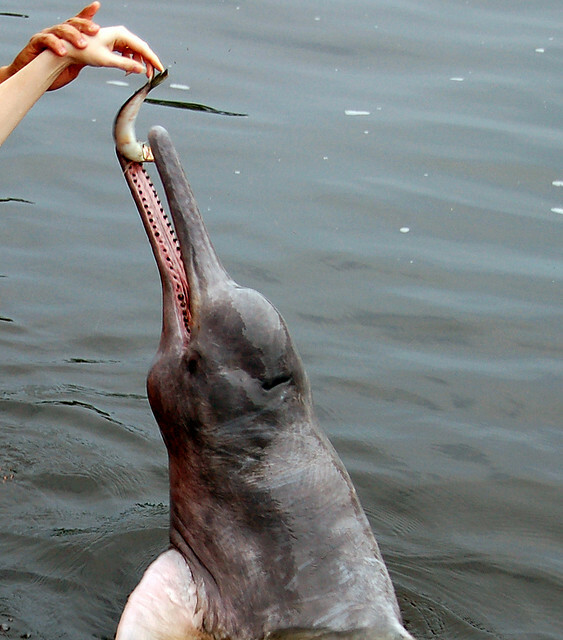 It isn’t a life without threat, however, for the pink dolphin. 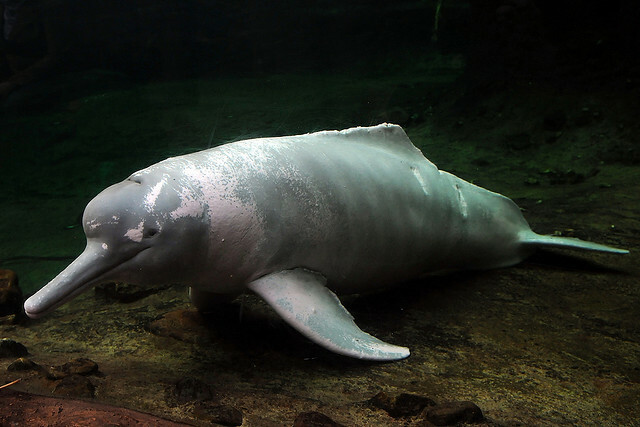 Although they cover a wide area they are considered endangered because of the massive increase in river traffic and fishing that recent decades have brought. Pollution and habitat loss are also playing a part in the decrease of their numbers. 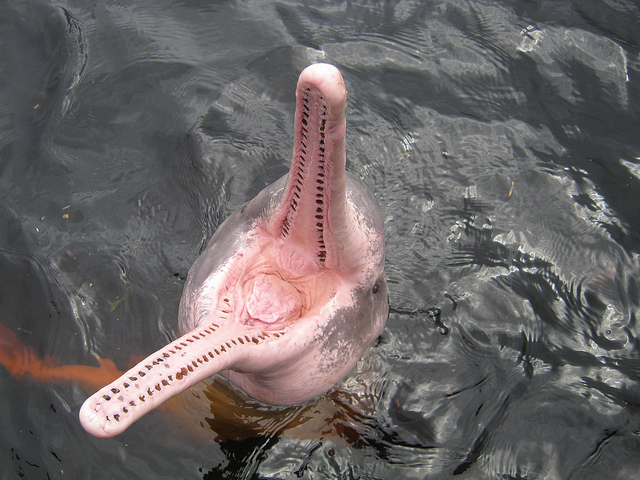 It can only be hoped that the pink dolphin of the Amazon will continue to find a home in its natural environment and that this charming and unreserved animal will still be around to enthral us in centuries to come.